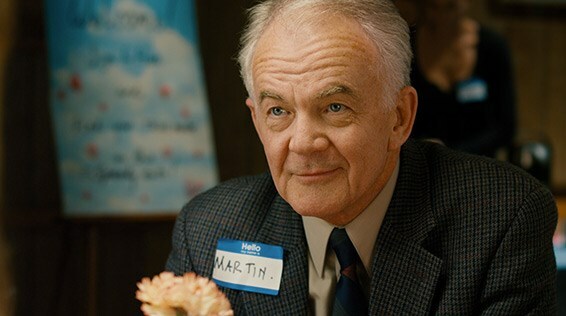 Paul Eenhoorn and Richmond Arquette star in This is Martin Bonner, a 2013 independent film drama about two men each searching in their quiet solitude to begin a new life amidst an unspoken need for encouragement and support. Having recently declared bankruptcy, Martin Bonner (Eenhoorn) has just uprooted his life to Reno from the East Coast, leaving behind two adult children and a life he spent decades building. He’s working a new job as a volunteer helping prisoners transition to freedom. It’s Martin’s first job in two years. And then there’s Travis Holloway (Arquette) who, having been recently been released after serving 12 years in prison, is sent back into the world bankrupt of self-esteem as well as of a normal life. To their surprise, the lives and stories of the two men begin to converge as they find that they have much in common until their unlikely friendship is put to the test when Travis betrays Martin’s trust. The outstandingly reviewed R-rated film—it received a 91% positive rating at Rotten Tomatoes based on 23 published reviews—was the winner of the Best of Next Audience Award at the Sundance Film Festival earlier this year.